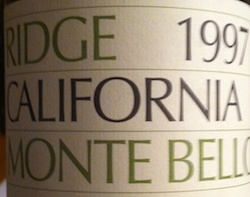 At a wine dinner recently, amidst a host of other treasures, I was lucky to taste a trio of Ridge Montebello, one of California’s best and, shout it from the rooftops, most elegant wines. I have long tired of many of the sunshine state’s most lauded wines, finding their massive concentration and density of flavour too, well, massive. Many of them are like athletes who have been on steroids. Not Ridge. 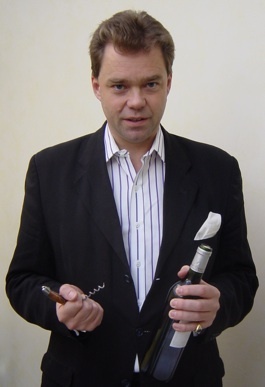 The vintages in question were 1995, 1997 & 1999, served in that order, but essentially enjoyed side-by-side so that it was easy to taste back and forth across the three wines. Trawling back through my tasting notes the word ‘fresh’ holds a dominant position: “so fresh”, “wonderfully fresh”, “delicious freshness” and so forth. Shouldn’t all wine be fresh? Yes, it should, and it should leave the palate clean and ready for another sip or another mouthful of food, not reeling from a vinous assault on the taste buds. 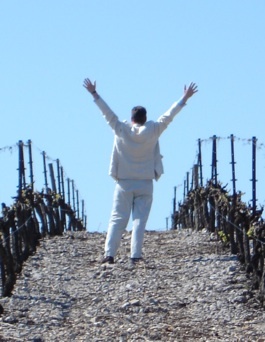 Today, so much wine fails in this basic duty that when I come across one that does what it should, I indulge in a ‘silent’ holler of thanks. More of the same, please. * Ridge Montebello 1995: Very balanced with gentle fresh fruit, delicious crispness, so ‘easy’ on the palate, showing a little aged frailty at the finish. 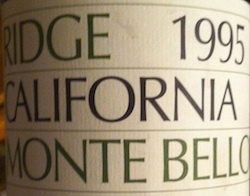 * Ridge Montebello 1997: Very elegant and definitely better than the 1995, lovely tingle between the juicy acid and the sweet fruit, lingers long on the finish. * Ridge Montebello 1999: Still has something in reserve and oh-so-elegant, delicious freshness and a mild streak of austerity, the best of the trio.